Does your husband like to cook and eat steak? I know mine sure does and will find any excuse to eat it and grill it. Well if your husband are like mine then I would like to tell you about the next exciting item we have in our Holiday Gift Guide! 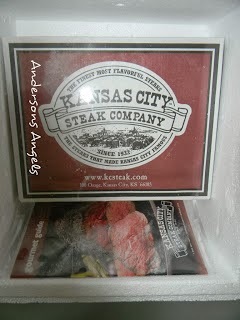 Kansas City Steaks Company that offers home delivery of delicious steaks and other great foods. I am a worry wart and especially so when I know that I have food to be delivered to me. This shipment was no different I was so worried that I would miss the delivery of the steaks and they would end up sitting outside and go bad on me. Luckily I was home on the day they arrived and I was very happy with how they had been prepared to be shipped. This company knows their product well and knows that not everyone can sit at home patiently waiting for their steaks to arrive. The steaks came in a Styrofoam box with dry ice inside it to help keep the steaks frozen throughout the shipping and delivery process. When I opened the box I found the bag containing the dry ice, the steaks, a seasoning packet and a Gourmet Guide all in the box. The guide was very nice because it not only listed available products but also cooking times for the different types of steaks as well as some recipes. I am one who likes my steak cooked medium and Jake likes his more medium well so the catalog told him how long to cook the steaks to reach the desired doneness. When we opened the box of steaks we found 4 individually wrapped 10 oz strip steaks along with the seasoning packet. Jake typically would grill our steak but since the day I decided to have them cooked we were in the middle of a snow storm I baked them in the oven instead. I had never baked steaks before and was very nervous about doing so but I have to say that they came out perfect and tender. 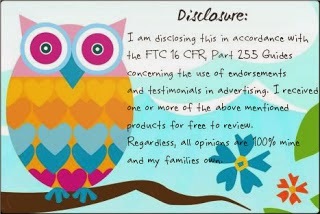 I have posted the recipe I used for you below so you can try it out as well. 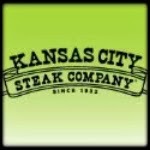 To buy the best steaks online make sure you stop by the Kansas City Steak Company's website today!! I am sure your husband or significant other would love to receive steak for Christmas or maybe even a Gift Card so they can pick what they'd like or use. Preheat your oven to 325* degrees. In a 9x13 baking dish arrange your strip steaks so they fit nicely. In a small bowl combine the soup and beef broth add the salt and pepper if you'd like. Then just pour the soup mixture over the steaks. Place in the oven and bake for 50 minutes or until they reach the desired wellness you would like. Make sure you are turning the steaks every 20 minutes to help them cook properly. Ours came out medium well done and very tender. Would love to try the T-bone. I don't eat beef but my son loves steaks and would enjoy the Super-Trimmed Filet Mignon. I would like the USDA Prime Bone-In Ribeye Steaks. I would like to try the Super-Trimmed Honey Teriyaki Filet Mignon. Thank you! I know hubby would love the Top Sirloin! I'd love the USDA Prime Rib!! I'd like to try the Top Sirloin Steaks. I would love to try the Prime Rib and the Filet Mignon! Both look so delicious! 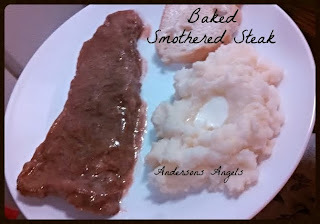 We love strip steaks--sounds yummy! We would love to try the Filet Mignon! Thank you for the chance! my husband would LOVE the Filet Mignon!! the filet would be my top choice! I'd like to try the Bone-In Ribeye.